Are You Showing Signs of Lithium Toxicity? You may try different bipolar meds – some work, others may make you completely miserable. And side effects? They’re basically guaranteed to manifest in some form or another (in varying degrees) regardless of how effective the med may be. Lithium is no exception – it is most widely used for the treatment of bipolar disorder. Under normal circumstances, lithium is supposed to help reduce the severity and episodes of mania. Even if your lithium levels are not toxic, serious side effects such as the above suggest that your dose may be too high or that lithium is not the right med for you. With correct dosage, lithium side effects should be transient and/or mild. Anything that impairs your functioning or decreases your quality of life needs to be addressed with a skilled clinician who knows a lot about lithium and alternative bipolar medications (examples: Depakote or Lamictal). There is a world of difference between side effects and lithium toxicity. It doesn’t matter how long you’ve been taking lithium (or how well you respond to it) – it is essential to monitor your lithium levels through regular blood tests. Can You Guess the #1 Concern of Lithium Toxicity? In fact, you may be experiencing the #1 concern of lithium toxicity right now! 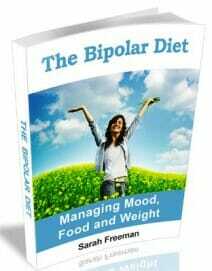 According to the International Journal of Bipolar Disorder, studies have shown that WEIGHT GAIN is among the most prevalent and distressing lithium associated side effects. The weight gain that usually comes with regular lithium medication is an emotional and psychic poison – this can all lead to serious health consequences. Weight gain was my biggest problem when taking lithium! Do you ever feel like there is no “normal” or “average” because your way of being, perspective, and mood is constantly changing? Combine that with all the consequences and aftermaths of this changing behavior and perspective (including the changing self image, poor social stability, poor decision making, and so on). You don’t need more problems added to your list of concerns – Especially weight gain. Imagine being comfortable in your own skin. Gain control over your mood! Do You See a Rash? Some people have a special form of lithium allergy – a rash. See your doctor immediately if, while taking lithium, you develop a skin rash or itching. The rash is not the most dangerous of the lithium toxicity symptoms. But it still shows you should DISCONTINUE LITHIUM IMMEDIATELY. Did You Miss Your Lithium Dose? Incorrect handling of missed doses is a very common way that people end up with too much lithium in their system. This can result in lithium toxicity. NEVER DOUBLE UP in an effort to catch up. Taking an increased dose is a dangerous risk that may put too much lithium into your bloodstream at once. Sometimes it is ok to take your medication a little bit later if you forget to take them on time – but DON’T DOUBLE UP. Contact your doctor to get precise guidelines. #1 Rule: Prevention! Prevention! Prevention! Get support! – Speak with a professional counselor online (from the convenience of your home). ALWAYS take your blood tests exactly when your doctor advises. PREPARE correctly for your blood tests. This means that for 4-5 days before testing don’t forget any doses and don’t take any extra doses. Also, your blood test should be done in the morning as close as possible to within 12 hours of your last dose. Drink plenty of fluids each day, especially water, juice and milk. Avoid caffeinated drinks like coffee and some sodas because of their diuretic effect. Do not go on any low salt diets. Be careful about sweating too much or anything else that could promote dehydration. If you do have lithium poisoning, you’ll most likely be admitted to the hospital and cared for by a poisoning specialist. Treatment will involve maintaining correct kidney functioning (managing blood pressure, and replacing fluids and salt). Sometimes dialysis is necessary. I am Bipolar. In the beginning of my diagnosis, I may or may not have done research on my illness. Since my diagnosis, I have seen and been treated by 2 psychiatrists. My 2nd physician prescribed me Lithium along with Seroquel XR. I saw him every 3 months for 2 years or so. I liked the Lithium. I felt it helped me as compared to my previous medications with much less dramatic and frequent mood swings. About a month ago I started to notice some changes in my behavior, severe shaking, blurred vision, confusion, and times a euphoric feeling. It didn’t dawn on me that this stuff could be happening because of one of my meds. I kept telling my husband and myself I was going to call the doctor but for some reason I kept forgetting. 2 weeks ago, I woke up in the hospital. My husband took me to the ER and they immediately admitted me to the ICU with a lithium level of 4.6. I had to have dialysis due to kidney damage and I was in the hospital for 4 days. It was awful. While I was in the hospital, it was made clear to me that while on lithium, I was to be getting blood work routinely done to monitor my levels. I have never done this. I cannot even recall this ever being discussed in the last few years with my physician. Now that I have been out of the hospital, I am still suffering from the effects of the medication and the poor care from my physician. I am grateful to be alive today. I may hate myself both on the inside right now, but I know that nothing in god’s world happens by mistake and this entire life occurrence will in some way find itself with more of a “happy” ending. I had double vision a few weeks ago. It went away in a couple weeks. Best wishes to you. IN OCTOBER OF 2014 I HAD SEVERE LITHIUM TOXICITY AFTER THE PSYCHIATRIST UPPED MY LITHIUM TO 1200mg A DAY.AFTER TAKING THAT DOSAGE FOR A COUPLE OF WEEKS I WAS FOUND SLUMPED OVER ON THE FLOOR IN FRONT OF THE SOFA WITH LITTLE TO NONE VITAL SIGNS. I WAS IN A COMA AND AFTER TESTING WAS DIAGNOSED WITH LITHIUM TOXICITY. I WAS GIVEN A TRACHEOTOMY AND WAS PLACED ON A VENTILATOR. I WAS ALSO GIVEN A FEEDING TUBE. THE DOCTORS TOLD MY FAMILY THAT IT LOOKED GRIM. I SPENT 5 MONTHS IN A HOSPITAL FOR VENTILATOR PATIENTS.THE FIRST MONTH I WAS IN A COMA. TO EVERYONE AMAZEMENT I WAS WEENED OFF THE VENTILATOR BUT I COULDN’T MOVE ANY OF MY EXTREMITIES. I WAS SENT TO A NURSING HOME FOR THERAPY. I LOST THE USE OF MY RIGHT ARM , IT WAS PARALYZED. AFTER ABOUT 3 MONTHS I STARTED MAKING PROGRESS. I CAN USE MY LEFT ARM JUST LIKE MY RIGHT ARM. I ALSO GAINED MY ABILITY TO WALK AGAIN. AFTER 6 LONG MONTHS I WENT HOME BUT RETURNED TO THE NURSING AFTER 6 MONTHS. IN MY MIND I DECIDED THAT IT WASN’T FAIR TO HAVE MY FAMILY TAKE CARE OF ME. SO NOW I’M A PERMANENT RESIDENT AT THE NURSING HOME AND I’M OKAY WITH THAT. I JUST HAD A BIRTHDAY THE 21 OF FEBRUARY AND TURNED 37. BEING SO YOUNG HERE IS HARD BUT I’VE MADE SOME REALLY GOOD FRIENDS. THE MORAL OF THIS STORY IS PLEASE MAKE SURE YOUR DOCTOR IS CHECKING YOUR LEVELS VERY FREQUENTLY SO THAT YOU DON’T HAVE TO TELL YOUR STORY. Thank you for sharing your story. Hopefully your words will help others. I was really touched by your story. I recently asked my psychiatrist if she could up my dose of lithium or add another medicine. She was not too sure about upping the dose because it would put me up to 1200 mg a day. My levels looked okay and she made it 1200mg a day. I’ve been taking it for a couple weeks now and I have not been feeling like myself for the past three days. It started when I felt like I was going to get, and yesterday I had a little bit of the shakes but of course I ate something because I thought that was why I was shaking. Yesterday, everything seemed more in slow motion and today I feel so weak and lightheaded after taking the lithium this morning, I’m thinking about lowering the dose to 600mg a day until I can see the doctor. Once that lithium kicked in this morning, it took away all my energy. Hopefully I can just drink plenty of fluids and it will be fine. Thanks for sharing your story. Hi. I’m really worried. I’ve been on 1200 for three years now and in the last three months something strange has been happening. My balance is totally off. I can’t take care of myself because I slip like in the shower. I have trouble on the stairs. I’ve lost almost 40 lbs. in 2 1/2 months which is strange because I’m also on 300 trazadone and 4 mg klonopin and have been on those doses for over 15yrs. I need to do the trash but I bend over and well I feel sick a lot. The only difference in my medications is suboxone was added in september. I’m on 16mg a day. I feel disoriented and I …my memory is totally screwed and I have an MA from Hopkins. I feel like an idiot. I’m not a sloppy person AT ALL but my living room and kitchen and bathrooms are a wreck. I can’t clean up, no energy. I sufferred from lithium toxicity around 2006. I was found completely passed out…unconscious for three days. Lately I’ve also had an itch that I just can’t scratch. I literally take a metal spatula and scrape my back as hard as possible …sometimes it stops sometimes it doesn’t. My psychiatrist is putting me on some kind of long lasting lithium but until then I’m either taking less or none–only for a couple days. However, I know what lithium is what it does what to look for I know this drug intimately after 20yrs. I do not know what is happening to me right now. I’m having a hard time even seeking help. Does anyone have any ideas …suggestions…support? thanks. My advice ….. get a lithium level. The therapeutic range for lithium is very narrow. I have seen bad things happen with lithium toxicity. I have a MPH from JHU, and loved my time there. Hi. I was so concerned to read your story. I have been on 900mg lithium. I’m so fortunate that my blood levels were checked every 6 months with normal results. Has your Dr ever mentioned Lamictal? I wish good health for you. I totally feel for you after reading your story. I, too, suffered from severe Lithium toxicity and it destroyed my life. Like you, I have a masters from Hopkins but lost executive functioning of my brain thanks to the Lithium. I also have no balance and am constantly injuring myself from falls. Last year, I slipped on ice and permanently damged my back. My memory and ability to articulate and remember words have been seriously impacted. And, I feel confused and unable to prioritize all the time. My house is also a mess, which it had never been before. In my case, it was a clear case of medcial malpractice over a 3 year period. He misdiagnosed me, never gave me Informed Consent about the risks of Lithium, never moniytored my blood serum levels and for 3 years saw my health deteriorate without ever realizing the Lithium was killing me! Despite overwhelming evidence of all these things, I couldn’t even sue him thanks to a very unfair law in the state of Virginia. I then filed a complaint with the VA Board of Medicine as I felt he needed to be held accountable, suffer consequences for his actions and needed to be stopped from harming another patient. After a full investigation proving malpractice, the board lied and told me there was evidence of malpractice. Found out the Board Chairman was friendly with this doctor, so ignored the evidence to protect him. Talk about injustice! This doctor destroyed my life and literally caused my death! I was found unconscious and when I arrived at the ER I had no vital signs! I would love to support you and share experiences. I have no one to talk to about this that truly understands. It’s been 6 years since I overdosed, and am still facing life-altering consequences. Two days ago, I was diagnosed with Lithium induced Stage 3 Kidney disease. So, now I can add an incurable disease to the list of adverse consequences I’ve suffered from this doctor’s actions. He, on the other hand, has never suffered a single consequence as a result of his actions and has probably forgotten my name. I on the other hand, will be forced to think of him every day for the rest of my life. Lithium toxicity is a horribel thing to experience and it would be nice to talk to someone else who has gone through the same Hell. During my 3 years of Chronic Lithium Toxicity, I suffered suicidal depression, sudden onset vision loss, loss of control of motor functions (could not walk, talk, write, suffered twtiches and involuntary jerking movements, had no balance, lost cognitive function, etc). This resulted in losing my business, all my friends (who blamed me for my depression – kept telling me to “Buck up!”), lost 35 years of retirement savings, lost my home, lost my fiance, got $60K in debt, was in the ER 13X in one year, had 8 car accidents (lost my vision while driving), lost my professional reputation, and had so many traumatic experiences that I now suffer from severe PSTD. I also suffer from permanent brain damage, short term memory loss. permanent loss of balance, irreversable kidney damage, etc. In my case, it was a clear case of medcial malpractice over a 3 year period. A doctor misdiagnosed me, never gave me Informed Consent about the risks of Lithium, never monitored my blood serum levels and for 3 years saw my health deteriorate without ever realizing the Lithium was killing me! Despite overwhelming evidence of all these things, I couldn’t even sue him thanks to a very unfair law in the state of Virginia. I then filed a complaint with the VA Board of Medicine as I felt he needed to be held accountable, suffer consequences for his actions and needed to be stopped from harming another patient. After a full investigation proving multiple violations, the board lied and told me there was evidence of malpractice. I later found out the Board Chairman was friendly with this doctor, so ignored the evidence to protect him. Talk about injustice! This doctor destroyed my life and literally caused my death (I was found unconscious and when I arrived at the ER I had no vital signs. This was how I finally found out my diagnosis). Yet , despite solid proof of causing the most severe harm possible to a patient, he did not even get a slap on the wrist. I would love to support you and share experiences. I have no one to talk to about this that truly understands. It’s been 6 years since I overdosed, and am still facing life-altering consequences. Two days ago, I was diagnosed with Lithium induced Stage 3 Kidney disease. So, now I can add an incurable disease to the list of adverse consequences I’ve suffered from this doctor’s actions. He, on the other hand, has never suffered a single consequence as a result of his actions and has probably forgotten my name. I will be forced to think of him every day for the rest of my life. Lithium toxicity is a horrible thing to experience and I am sharing my story to foster feelings of connection with others who have also experienced this devastating condition. um….I forgot. I’ve been in two car accidents in one week and I’m driving only when I HAVE to drive. I don’t get into accidents. Did anyone ever check to see if you could take all those meds together? Drug.com tells you everything that each drug interacts with. I had very similar problems and as I was coming off a med I had a car accident and basically severed my right arm off. Get help before you hurt yourself. I will preface this by saying that I am not a doctor, and you should consult a professional. From what I’ve read of your experience, it seems almost definitely (to me) that what you’re experiencing is largely due to the Suboxone. Mixing Suboxone with any benzodiazepines can make one very disoriented, lethargic, etc. Suboxone also causes that itchy feeling you’re talking about. I’m not saying to ignore the possibility of lithium poisoning, but it seems like Suboxone is playing a large part in your problem. Blood work is important but it is not the only indicator of toxicity. If you see severe signs like slurred speech, lack of coordination, sleeping constantly, cognition issues, get advice and help. Marianne, my advice is this. I speak from personal experience! If the doctor told you to discontinue the lithium until he chooses another drug…you should stop it completely! You have more than enough in your body without taking it. Your doctor should be monitoring your blood lithium levels every three months. You need to go and do these blood draws…plain and simple. Now if the doctor hasn’t been setting up this blood work regularly…I think you should find another psychiatrist. No doubt about it! Omg I think I have Lithium toxicity! I’m going for blood tests tomorrow. I have many of the symptoms listed. Crap, I had no idea why I was having all these weird symptoms! Thank you for the information!! Im feeling nauseous alot so i tend to eat to settle tummy. I have to get up at all hours of the night to pee. A few changes though since upping my lithium nausea has got worse and im so vacant and clumsy. Getting levels done tomorrow. Should be interesting. Just two weeks ago I was put on 900 mg of lithium and everything was fine until I started to notice being off balanced and then I started forgetting stuff and that caused me to forget about some fried okra on the stove and about caught my house on fire. The next thing I know I am being rushed to Charlotte because my lithium levels were so high I should be dead. I thank the Lord for that, He always has my back. I think they should bane lithium and I believe doing so would save lives. My lithium Toxicity was apparently brought when while taking 600 mg of Lithium for over 2 years, I was also perscribed a drug called Furosemide (20 mg), a diuretic for swelling in my legs by a different doctor.. When the swelling persisted, he upped it to 40 mg per day on 4/17 and that’s when the trouble really started. I started forgetting things like how to get dressed in the morning, how to pump gas in my car, the difference between right and left, hot and cold and slow and fast. After 4 car accidents in 3 days I knew I had to stop driving but not why. I tried to ride my motorcycle but even with that, I couldn’t tell the brake from the gearshift and less than a mile from home, I called a flatbed to bring both the bike and me back home. You contact me about my blog link. These comments strike close to home. I have been on Lithium for about 20 yrs. It was intiallyl presribed by a former psychiatrist. I don’t remember if he ever ordered bloodwork. My current psychiatrist has ordered it 2-3 times over the last few yrs. She has had me on 900 mg/ day. About 2 weeks ago I woke to suddenly having difficulty walking, talking and I was shaking a lot. At the hospital they must have only done cursory bloodwork as my discharge summary listed “shaking” as my diagnosis. Last week, my husband found me completely unconscious sitting on the deck. I woke up in the hospital remembering none of the incident. Looking back the walking and talking difficulties were a preclude to the toxicity. My diagnoses were Lithium toxicity, heatstroke (body temperature was 104) and dehydration. I certainly could have died. I talked to my psychiatrist after being discharged and she said that dehydration can play a role in Lithium toxicity. I’ve taken Lithium for many years and was never told this. Needless to say, I am now working hard to consume enough fluids. I’m 68 yo and for most of my life I know I was dehydrated. I have passed out a couple of times a couple of years ago due to dehydration, got iv fluids at the hospital and was fine. I was taken off Lithium in the hospital cold turkey. I am on 900mg of Lithium (plus many other medications). 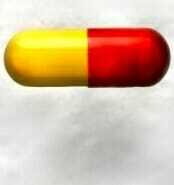 Does anyone have the side effects that I do? When talking, I can’t think of a word or form a sentence. When writing an email, again – I will know what I want to get across but can’t think of the word or phrase. I feel like I have dementia. I have tremors in my hands and weakness in my hands – like trying to hold a drink and having difficulty setting it on a table. I am always in a fog and have a hard time focusing when working. I hope I don’t get increased to some of the doses that you are all writing about – this is bad enough.